Ooops I did it again!…. Federic Fekkai Full Volume Shampoo – Definitely needed purchase. I was genuinely out of shampoo, and even if I wasn’t, shampoo is consumable item so no big whoop! Moving on from my justification…. 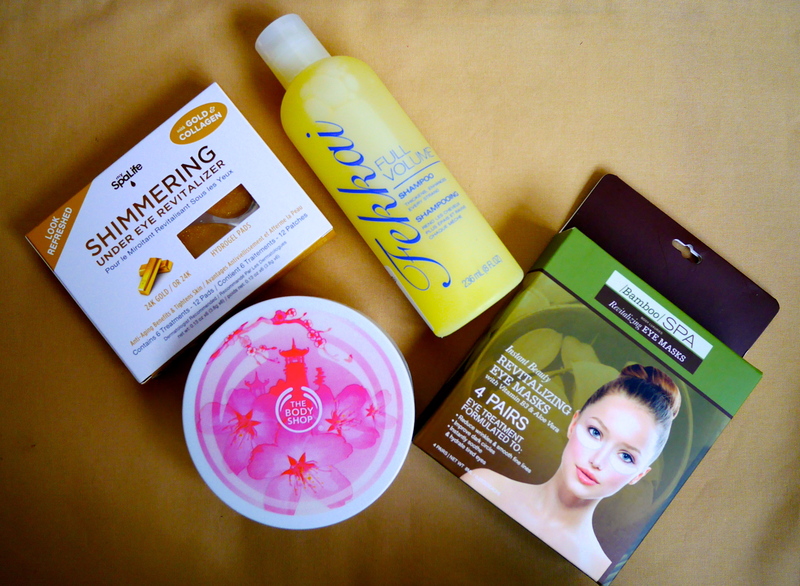 Next 2 purchases….what was I thinking however excited to try them! My Spa Life Shimmering Under Eye Revitalizer with 24K Gold – Pffftt yeah right, 24K gold my arse! Apparently it claims to have anti aging benefits and tightens skin around eyes. The gold brightens and collagen tightens….only time will tell when I give it a go. That’s good to know when I visit I can do more damage there!